The University of Technology, Sydney, hosts the 5th Asia-Pacific Innovation Conference in the stunning new Faculty of Engineering and IT building. 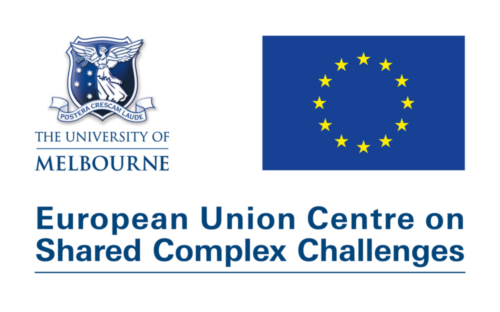 The conference will be held on 27, 28 and 29 November 2014. Chair, Local Organising Committee: Professor Thomas Clarke, Director Centre for Corporate Governance, Faculty of Business, University of Technology, Sydney. 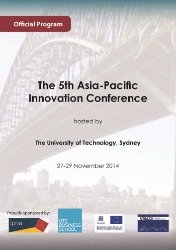 Professor Bob Carr will open the Asia Pacific Innovation Conference 2014. The Honourable Bob Carr was Premier of New South Wales between 1995 and 2005, and served in the Australian Federal Parliament as Senator and Foreign Minister. In these roles he has worked to build stronger relations within the Association of Southeast Asian Nations (ASEAN), and to build engagement with China. Professor Carr joined UTS in 2014 as Director of the newly established Australia China Relations Institute (ACRI). Mr Mairesse is Professor of Applied Econometrics of Research, Innovation and Productivity at Maastricht University and Professorial Fellow of UNU-MERIT. He is a founding member of the Center for Research in Economics and Statistics (CREST), the research centre of Institut National de la Statistique et des Etudes Economiques. He is a senior researcher of the microeconometric laboratory at CREST and at Groupe de Recherche en Economie et Statistique). He is a Research Associate of the National Bureau of Economic Research). Mr. Bell is Chair of the Australian Council of Learned Academies (ACOLA), Expert Working Group focusing on The role of science, research and technology in lifting Australia’s productivity. He was formerly part of the OECD Division responsible for policy and program analysis in science, technology and innovation and is former Chairman of the Commonwealth Coordinating Committee on Science and Technology. Click here for a PDF version of the Invited Delegate List. The Faculty of Engineering and IT is located a stone’s throw away from George Street and Central Station (5 minutes) and Darling Harbour (15 minutes). Accor hotels have a wide range of accommodation at the different levels: Pullman 5 star, Novotel 4.5 star, Mercure 4 star, Ibis 3.5 star. Click here to make a booking. There are a number of options for those looking for budget accommodation: 1, 2, 3 & 4. 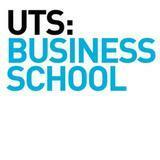 Please be mindful of the proximity of accommodation to the UTS Business School! Reservation in advance is advised and subject to availability. Watch UTS’s future campus come to life in this 3D fly-through. Frank Gehry interview with the University of Technology, Sydney. More about UTS’s City Campus Master Plan and the Dr Chau Chak Wing Building. The University of Technology, Sydney, hosts the 5th Asia-Pacific Innovation Conference at the home of the Frank Gehry designed Dr Chau Chak Wing UTS Business School building. The conference will bring together scholars, including doctoral students, working on economics, management and law with a focus on innovation. It will foster an inter-disciplinary exchange of knowledge. Sessions will include contributed papers, keynote presentations and panel discussions. Please forward this information to any interested colleagues, friends, and doctoral students. We welcome contributions from across the world.